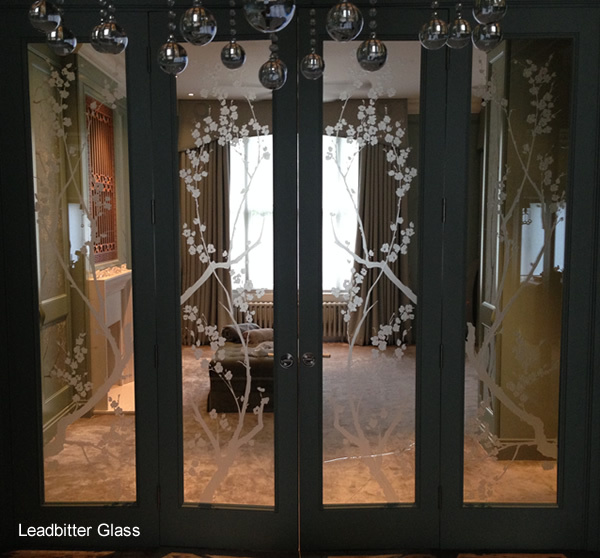 In 2015 we were commissioned to create an identical remake of a very intricate deep carved glass panel for an executive London home. 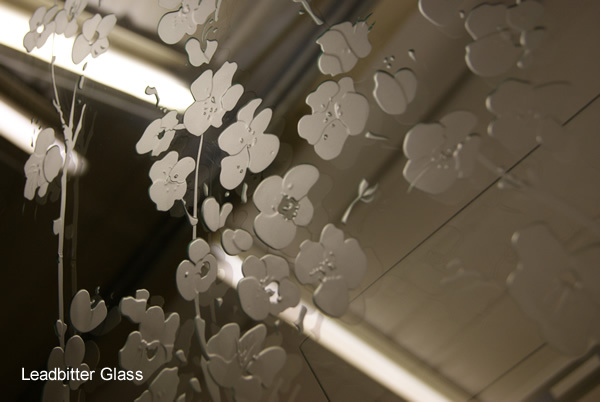 The four original ‘Cherry Blossom’ panels were manufactured in the USA and shipped over to the UK but one of the panels had been broken years later. 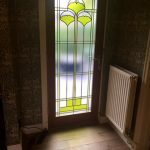 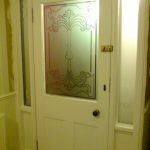 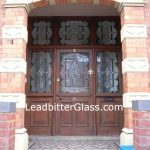 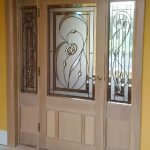 Photographs were sent to us so we could calculate a quote for the replacement and we gave the client the option of having us collect the original door so we could get as close to the original as possible. 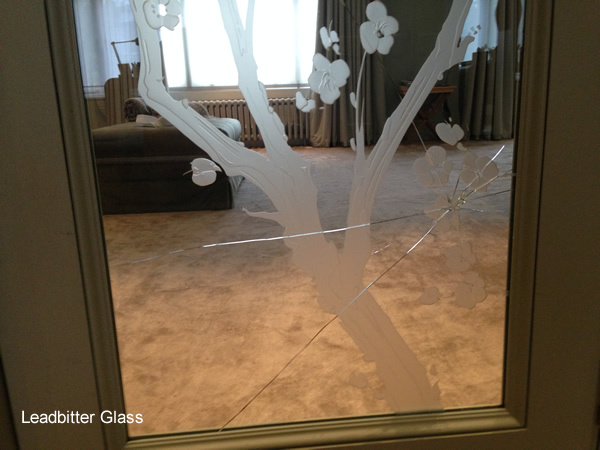 Once we collected the door we discovered that the glass was 10mm laminated glass and it was very heavy. 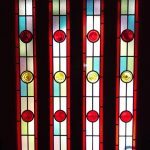 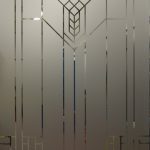 The glass design was deep carved into the glass by repeatedly sandblasting certain sections of the design to give it that 3D feel and appearance. 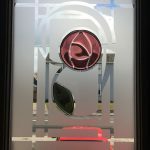 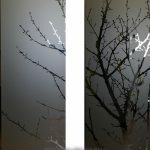 Once we got the door back to our studio we had to take close up photographs of every section of the glass design and then piece them together to create one large image that was not stretched at the top and bottom. 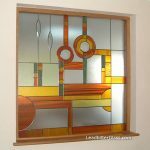 Taking just one photo would not have shown up the fine detail of the design and it would not have been accurate enough because each section needed to be taken from front on. 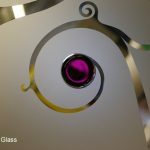 We then had to hand draw around every single circle, leaf and stem using an Ipad with an Apple Pencil to input the lines into our glass software. 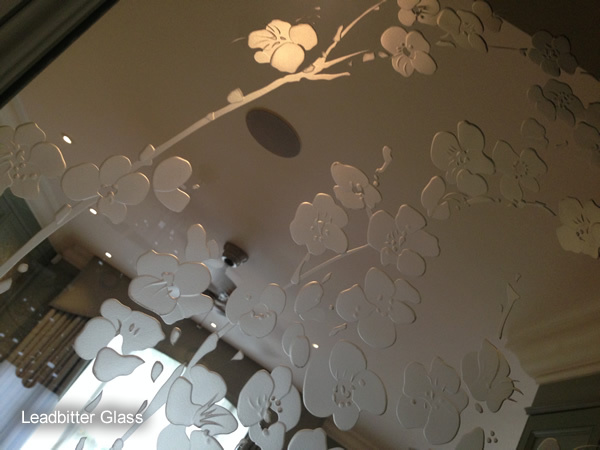 We then created a heavy duty vinyl resist to allow us to deep sandblast the glass at multiple levels. 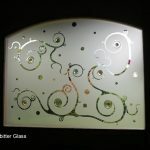 The artwork took days to create and the actual glass took around 5 days to sandblast.